Sprinkle steak with salt and pepper. In a small skillet coated with cooking spray, cook steak in oil over medium-high heat for 3-4 minutes on each side or until meat reaches desired doneness (for medium-rare, a thermometer should read 145°; medium, 160°; well-done, 170°). 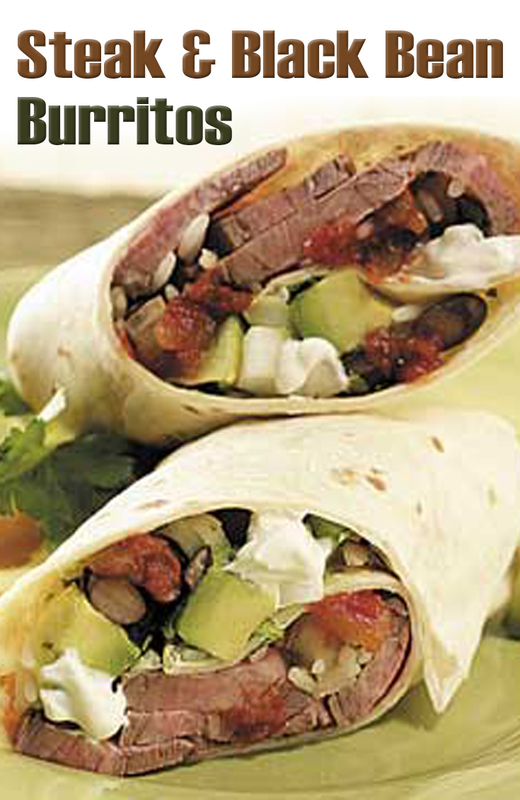 Thinly slice steak across the grain; place down the center of each tortilla. Top with the rice, avocado, beans, sour cream, salsa, onion and cilantro. Roll up; serve immediately.